If you are a member of our Facebook Group, check out this poll and its comments to see members personal experiences and opinions of water ring slings! Side note: water ring slings are designed for wet use, NOT for general hot weather use. 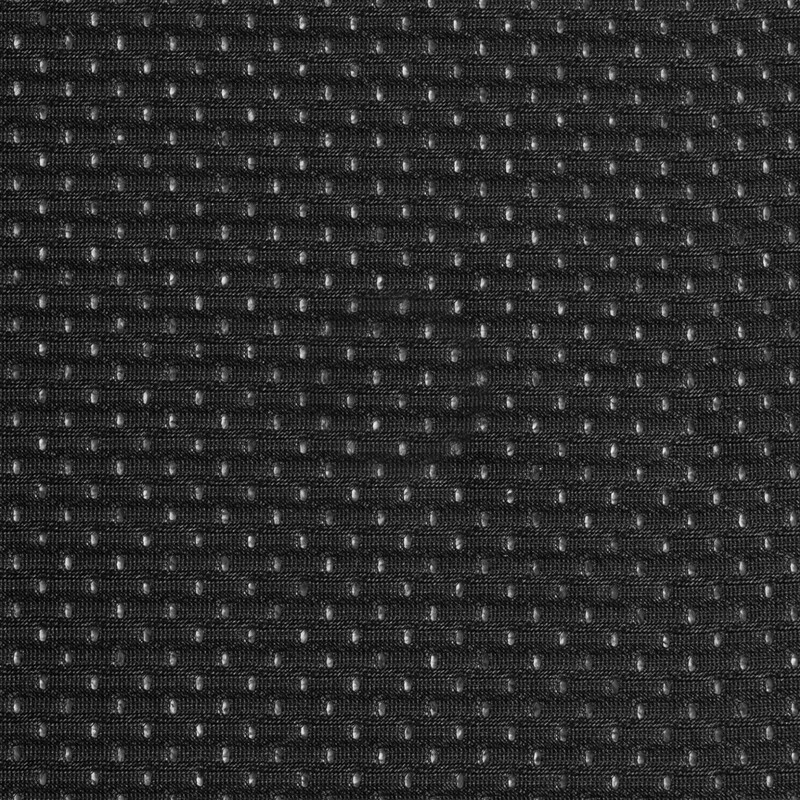 Mesh tends to slip when dry, and the polyester, despite the holes, can be very sweaty. For hot weather, the general recommendation is either osnaburg, linen, or a linen/rayon blend fabric. Check out our regular ring sling tutorial if you are working with these fabrics. To make a wrap or ring sling to use in the water, you need a very specific type of fabric. 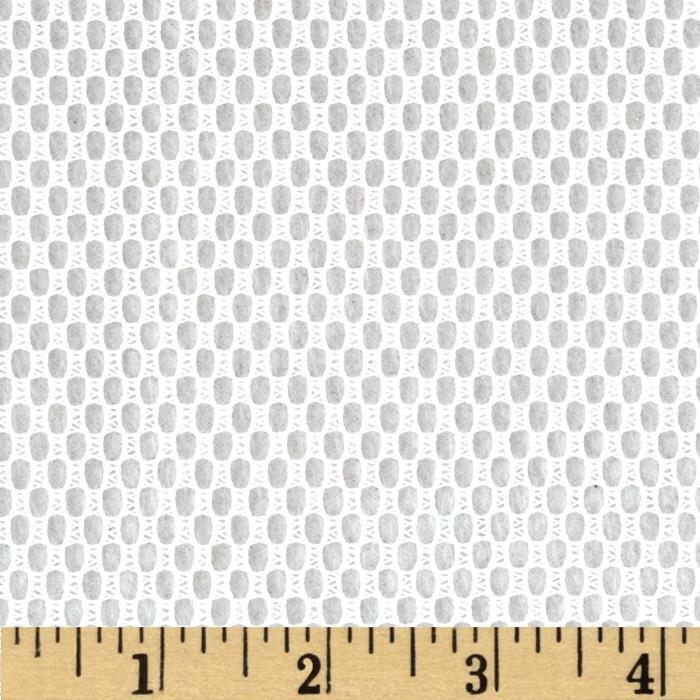 Typically called "athletic mesh" or "football mesh," the ideal fabric has very little or no lengthwise stretch, some widthwise stretch, and is 100% polyester or nylon. 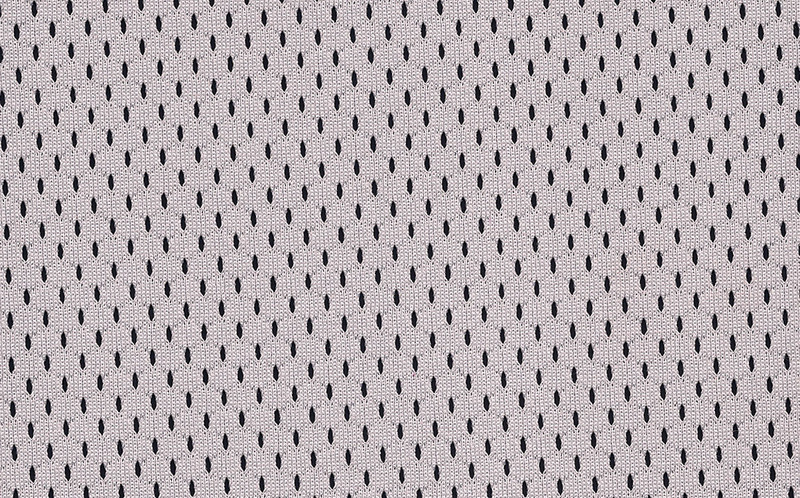 If you cannot find mesh with the appropriate amount of stretch, you can instead make a stretchy wrap out of 100% spandex/lycra swimsuit fabric. For more information, click here or expand below. 3 yards is plenty for a ring sling for almost all sized wearers. Expand below for more information about lengths and widths, or check out the charts on this page. In general, 3 yards is plenty of fabric to make even an extra long sling with a deep, floating gathered shoulder. The majority of wearers are comfortable with a medium sling, which can be made with just over 2 yards. The easiest option is to buy 3 yards, sew in the shoulder, and then try it on and cut the tail to the desired length. This also gives you the option of chopping the shoulder off and starting over if you were to mess up while sewing, as this is a tricky, slippery fabric to work with. Keep in mind that athletic mesh will not shrink, so you do not need to account for shrinkage when buying it. 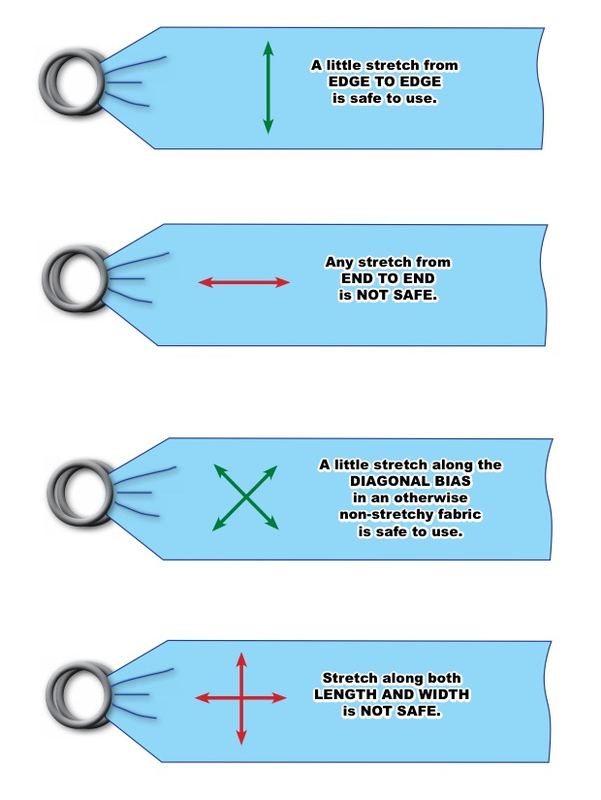 The correct mesh can be used for a variety of woven wrap carries, but should never be used for knotless, tension-based carries like as a no sew ring sling or No No No Hip Carry. 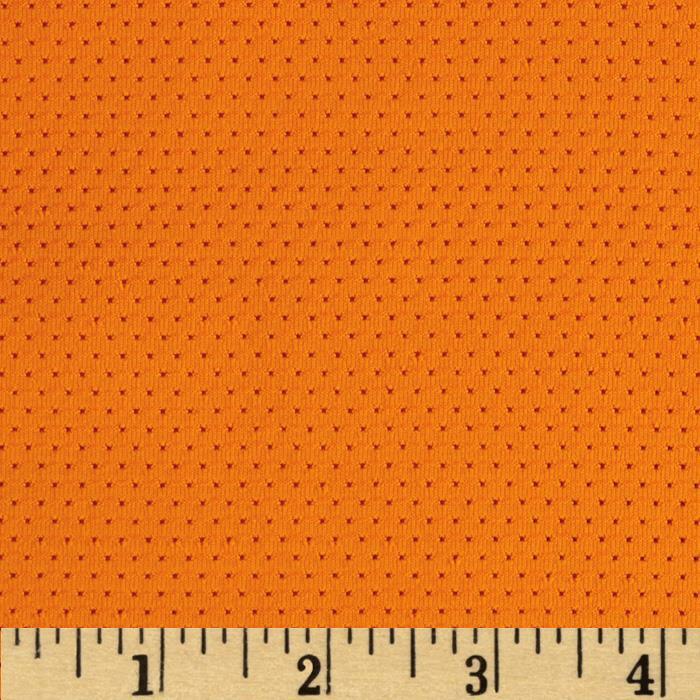 Standard width for a ring sling is between 26"-32"
If the mesh you bought is 60" wide, the easiest option is to simply cut it down the middle. 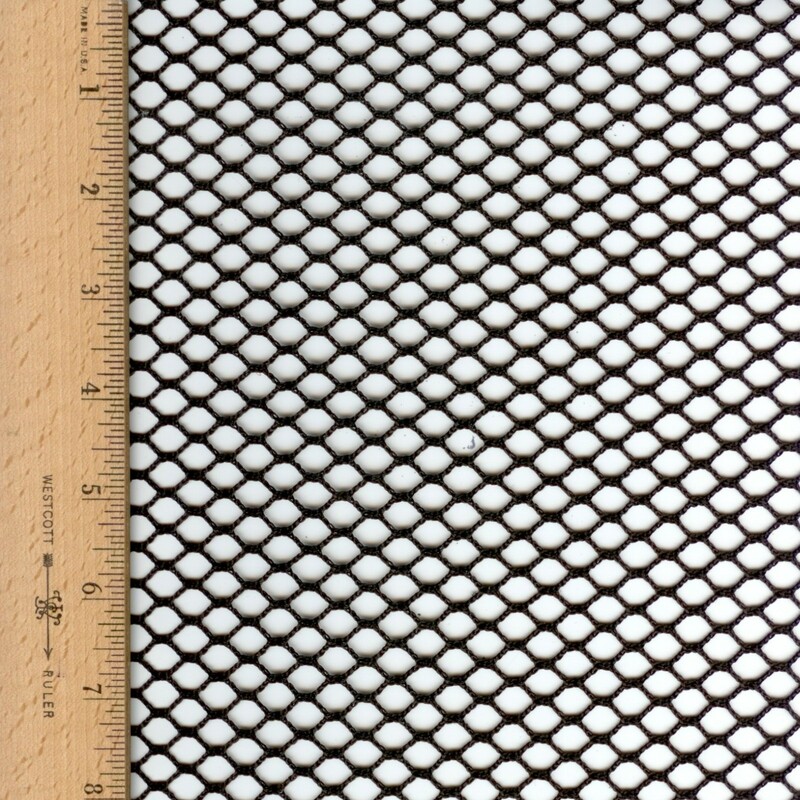 Use the holes in the mesh as a guideline for cutting a straight line. At this point, if you want, you may be able to use the mesh without rings as a "shorty wrap," depending on how much fabric you bought and what your base size is. 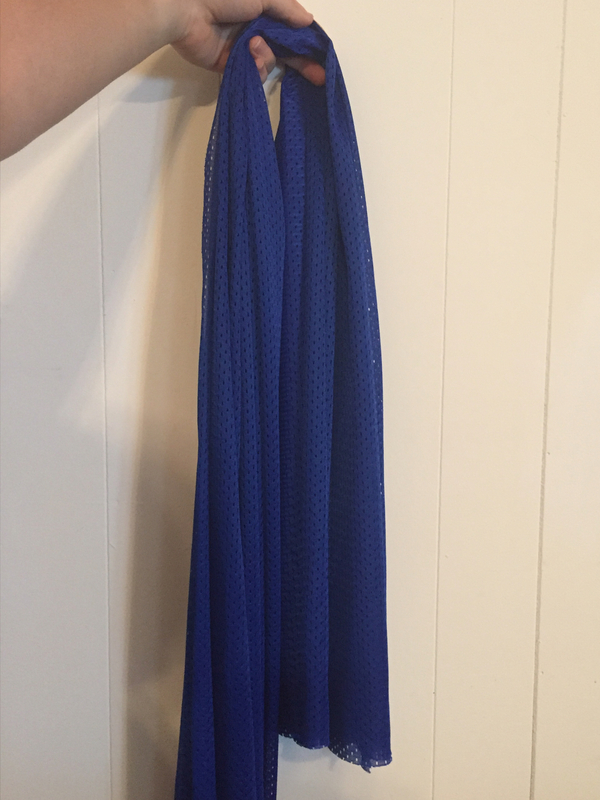 If you are between a base 5-8 and bought 3 yards of fabric, you likely have enough to use it for a traditional sling carry. 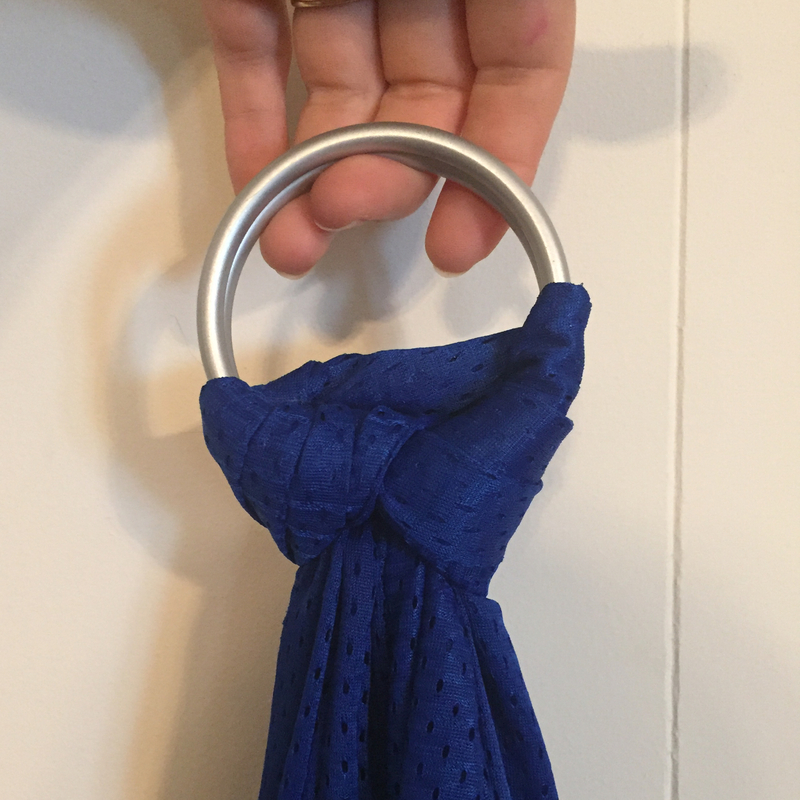 If you want to use it as a ring sling, keep in mind that mesh is too slippery for a no-sew ring sling, so you will need to sew your rings in place or use a hitch knot (like Jasmine's Hip Carry uses) to secure the shoulder. 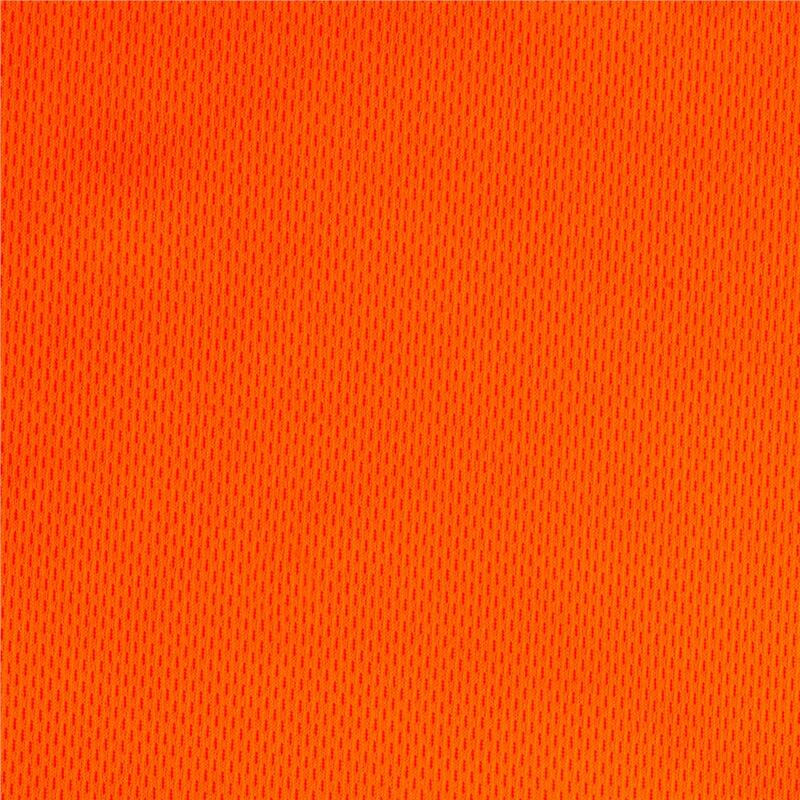 Athletic mesh does NOT need to have the edges hemmed, but you may choose to fold and hem or serge the edges for a more finished look. This is completely optional, though. Buy a pair of 2" rings designed for babywearing. For more information on buying safe rings and country-specific sources, click here. 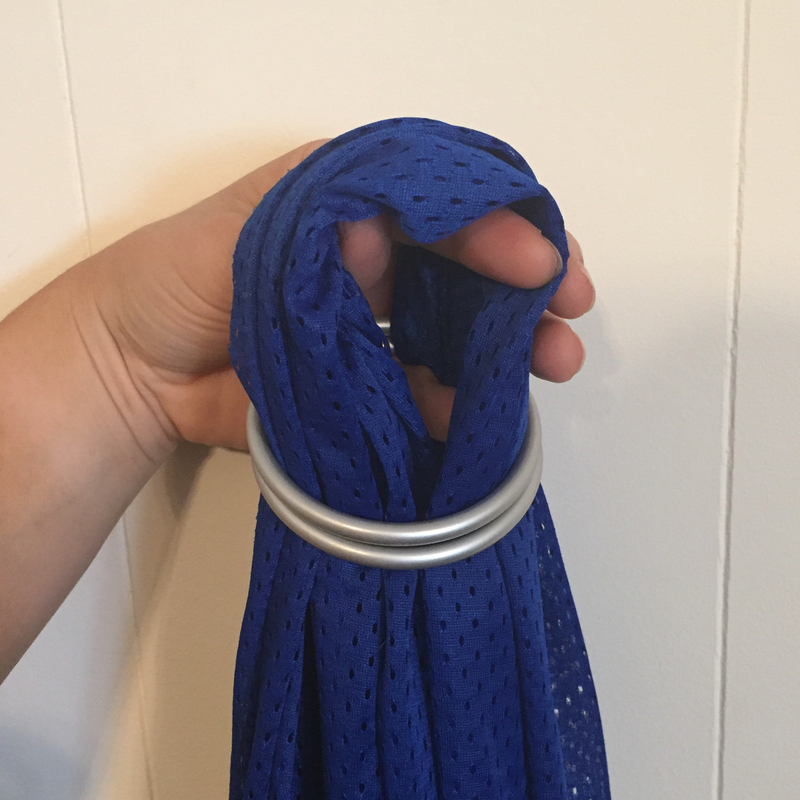 For athletic mesh, you will want a set of small (2" or so) sling rings. Both aluminum and nylon rings are safe and simply a matter of preference. Be sure to use weight-tested rings designed for babywearing from a reputable source. A lot of people prefer the thinner feel and grip of aluminum rings, but others prefer the feel of nylon on bare skin in the sun. Any style of ring sling shoulder is fine for a water sling, but pleated is most popular. 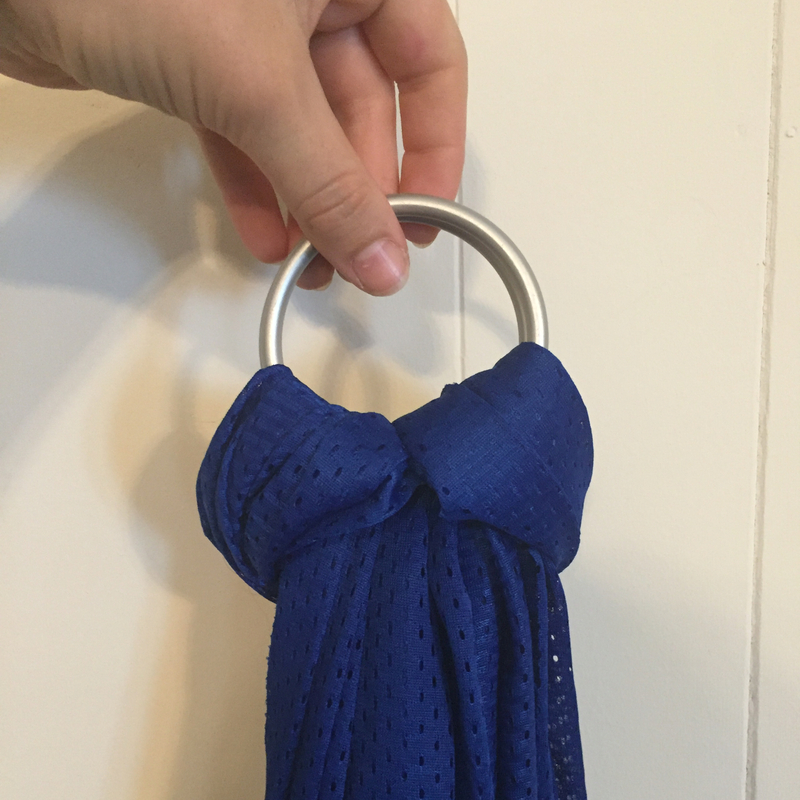 A standard no sew ring sling carry will not work with mesh, but you can do a "no sew" shoulder with a hitch knot. Expand below for pictures to do the no sew version or a link to a video to sew a shoulder. 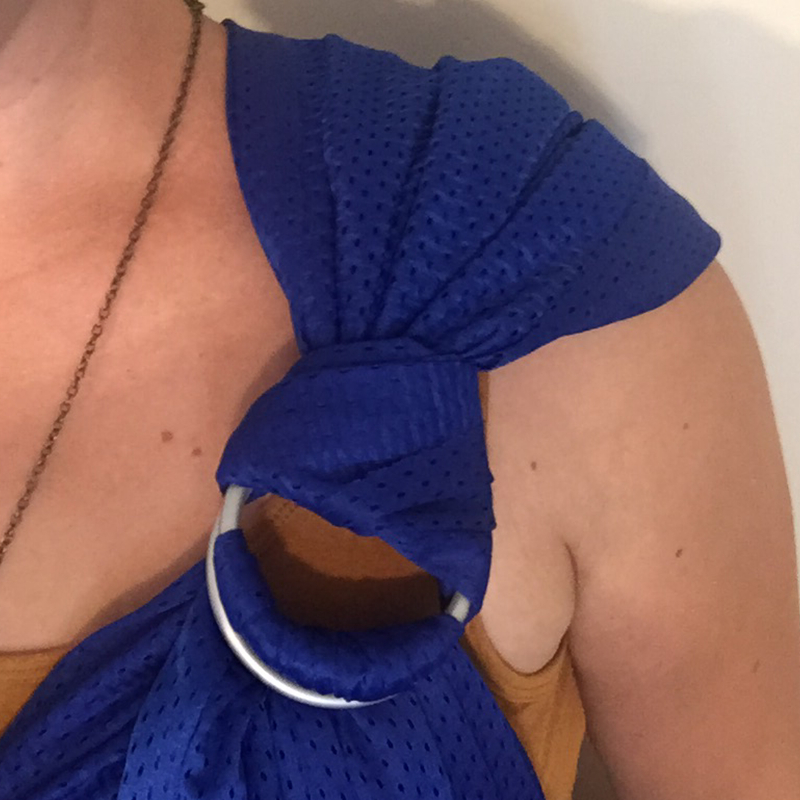 While you can technically do any shoulder style for a water sling, many people prefer a pleated shoulder for this application since, after the sling is wet, it can be very difficult (nearly impossible) to adjust anything, so having a more "shaped" shoulder that won't bunch up can be preferable. Remember to use 100% polyester thread when sewing the shoulder. 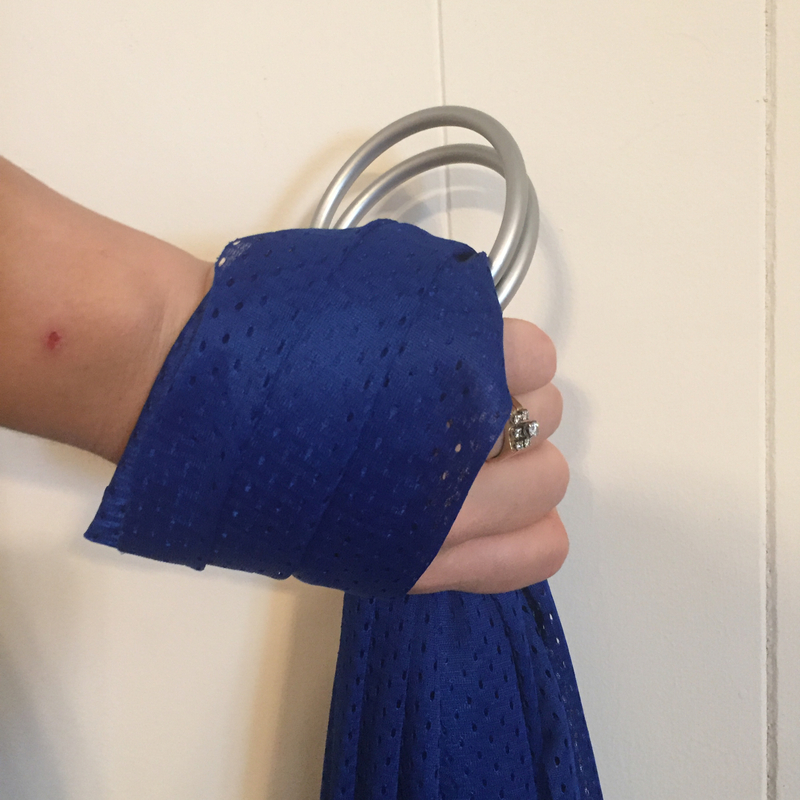 While polyester is always recommended for all ring slings due to its strength, it is particularly important when sewing a water sling. Do not use cotton thread that could absorb water or be damaged by chlorine. Fold over 12"-24 for the "shoulder"
Reach through the loop of the fold and grab both tails. Pull both tails back through the loop. Working your way carefully across the width of EACH of the tails, pull the knot snug. Flip the knot over. Wear like a normal ring sling, with the short tail of the shoulder tucked under the main body of the sling. Along with following the basic TICKS rules for safe babywearing like you would with a regular ring sling, keep some extra safety precautions in mind when wearing in or near water. Baby should always be on your front or hip while in/near water. Make sure to stay aware of baby's airway and the water level - inhaling splashes of water can be just as dangerous to an infant as being submerged! Make sure the sling is comfortably and safely tightened and adjusted before it gets wet - a wet sling is not adjustable.